"The actual time recorded by a horse over a given distance conveys, of itself, practically nothing." Their calculation takes account of track differences, race distances, the ages of the horses concerned, weight-for-age, weights carried, the state of the track surface and the strength and direction of the prevailing wind. Calculation and print-out are by computer. For convenience, timefigures are usually transcribed into their equivalent ‘timeratings’ in pounds. These timeratings are directly comparable with Timeform Ratings — that is to say, they are tailored to the same scale. 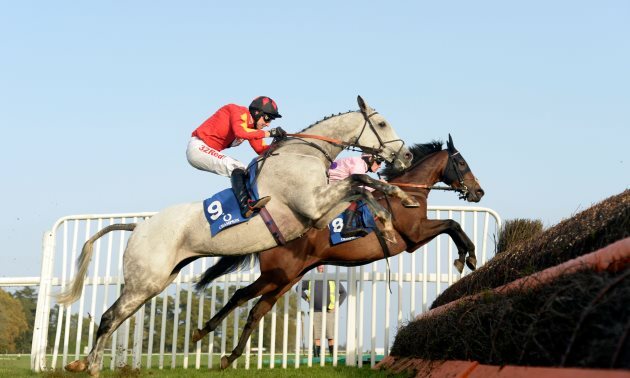 A Timeform Rating is a considered assessment of the merit of a horse on form, whereas a timefigure (or its equivalent timerating) represents the calculated time value of a single performance, which can often be well below what the horse is capable of recording. As the name implies, a timefigure is a representation in figures of the time value of a performance. The actual time recorded by a horse over a given distance conveys, of itself, practically nothing. It has to be considered in relation to the conformation of the course over which it was recorded and the weather and track surface conditions prevailing at the time. 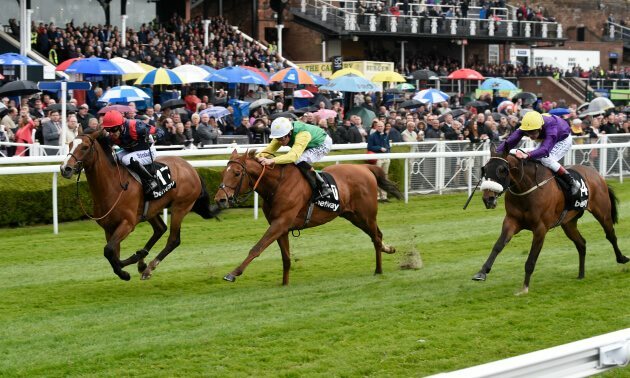 On a sound surface a modest selling plater can easily run the five furlongs at Epsom in 57 seconds, but the very best sprinters have never succeeded in running the Ascot five furlongs as fast as that, even with the wind behind them. Similarly, horses capable of running five furlongs on a flat track in 60 seconds on firm going, wouldn’t get within 5 seconds of that on heavy ground or if there was a gale-force wind blowing against them. These are elementary matters appreciated by everyone. Of importance too are the ages of the horses concerned, how far they are from full maturity, and also the weights carried. These things may seem self-evident — for instance that weight will slow a horse down and increase the time it takes to get from one point to another — but it is surprising how often they are misunderstood. It is also surprising how often people ask immediately after a race, ‘Was that a fast time?’ No worthwhile off-the-cuff answer is possible. To assess the real time value of a performance involves quantifying these factors, some of them seemingly imponderable ones, and compensating for their effects. The result has then to be expressed mathematically in terms of time on some convenient and meaningful scale. First, the matter of the racetrack itself. Most American tracks are one-mile circuits, flat, oval and laid out to the same pattern. In Britain they all differ in size and shape and many of them have pronounced gradients. Times recorded on one course are not comparable with those recorded on another. The problem is solved by the use of ‘standard’ times with which the actual times may be compared. The calculation of these ‘standards’ for each individual distance on each racetrack is itself a monumental job, and their accuracy is critical. To use record times, which, if not simply timing errors, are invariably established in abnormal conditions, would be idiotic. Neither can acceptable standards be obtained simply by averaging several years times over each distance on each track. The merits and ages of the horses recording them have to be taken into account, and the weights carried. Nor must it be forgotten that while many sprint races are truly run throughout this is by no means the case with long distance races. 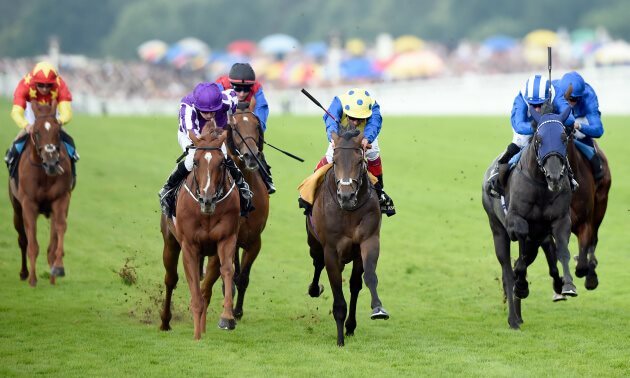 The time data held at Timeform House covers racing since 1933 and is comprehensive in every respect, including, since 1947, the Timeform Ratings of the horses concerned. 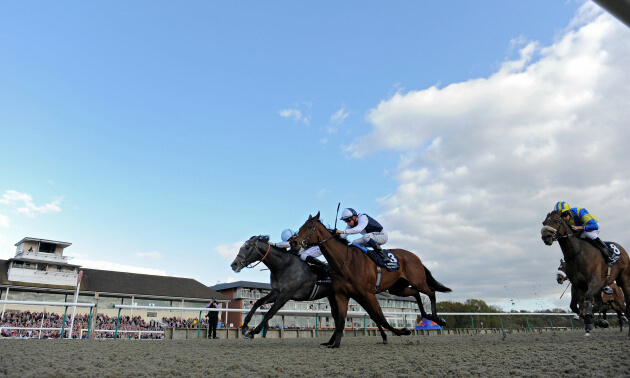 Evaluation of the standards just for Newmarket involve statistical analysis of more than four thousand race times. To evaluate standards for all racecourses, and update them annually is a tedious technical job—or at least it was before it was handed over to the computer. The differing distances of races present another little problem, apart from that dealt with by the standards. For a horse to record 58 seconds for five furlongs against a standard time of 60 seconds is obviously a much more meritorious performance than would be the recording of 3 minutes 28 seconds for two miles against a standard of 3 minutes 30 seconds. The margin below standard is 2 seconds in each case, but in the former this is three per cent of the standard time, whereas in the latter it represents less than one per cent. We deal with this by expressing all time differences (actual time minus standard time) on a per 60-second basis. In evaluating timefigures for a day’s racing, allowance has to be made with each horse for its age and for the weight carried. 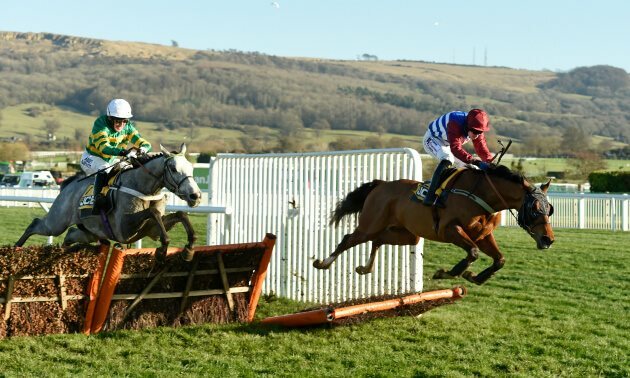 This involves the use of a table which shows the week-by-week time allowances appropriate to the degree of immaturity of two-, three-, and four-year-olds over all distances from five furlongs upwards. This ‘Time-For-Age’ table is a transcription of the Timeform Weight-For-Age table used by Timeform’s handicappers. Race times are, of course, greatly affected by the state of the going. 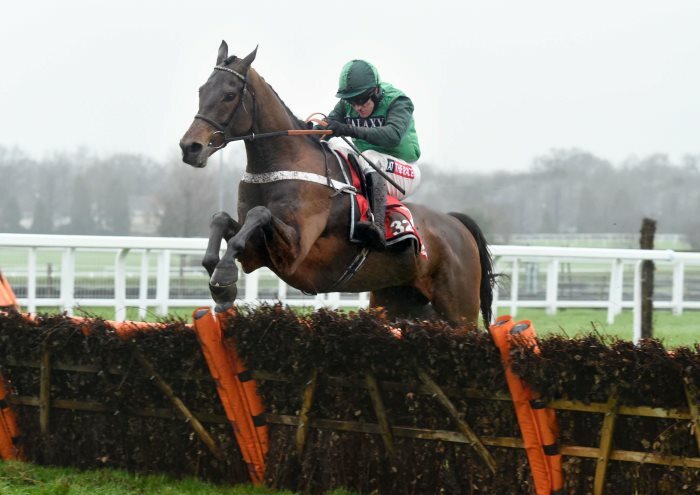 Really heavy ground can add as much as ten seconds to the time horses are capable of recording over five furlongs (though racing is usually abandoned when the conditions are as bad as that). The problem is not to be solved by the use of estimated per-furlong going allowances. Walking-stick or heel-digging guesswork is far too much of a hit-or-miss business to be of much use, though the occasional use of penetrometers may prove to be a step in the right direction. However, given an accurate set of standard times and six or seven races on a course on one day, of which at least four are contested by horses of established merit, there is usually ample time data for a mathematical solution to be obtained. We deal with it in that way. Of course rain during racing complicates matters, but in the light of many years' experience that too can generally be compensated for, though not always. Race times are also very much affected by the strength and direction of the wind prevailing during racing. A wind behind in the straight will assist the runners throughout in all races run on the straight course, but will be adverse to the runners for part of the way in races run on the round track. The times of straight races will be speeded up, but the precise effect upon the times of races run on the round track will depend upon their distances and starting points. Considering the unusual layout of some of the courses in Britain, and remembering that the wind may blow at any strength from any point of the compass, it might be thought that the problem is an intractable one. Nevertheless it can normally be handled quite satisfactorily by vector analysis, provided the direction of the wind is known, conditions do not vary during racing and sufficient data is available. A 10-knot wind makes a great deal of difference to race times, so it is important always to have reliable information as to wind strength and direction, direction particularly. Timeform sees that accurate information is obtained. It follows from this that although a good timefigure definitely establishes a horse as a good horse, a poor timefigure does not imply that the horse responsible for it is necessarily a bad one. If a horse records a timefigure of -1.60 (timerating 140) you know at once that it is in the Shergar, Dancing Brave or Dubai Millennium class. But a good horse may register a modest timefigure for all sorts of reasons; it may not be fit; it may be running over an unsuitable distance or on unsuitable going; or it may have won very easily from weak opposition. Furthermore, and it is vital to understand this, the timefigures recorded in a race depend largely upon what sort of pace there is in the early stages of the race. If the horses only canter for much of the way, as happens frequently in long-distance races, they won’t return fast timefigures no matter how good they may be. Even in sprint races a non-competitive pace in the first two or three furlongs will result in the winner’s timefigure being significantly slower than the best the horse is capable of. A fifth of a second lost per furlong in the first three furlongs of a five-furlong race may be imperceptible to an onlooker or a jockey, but it adds up to 0.60 seconds, or approaching a stone in terms of weight. Really fast timefigures can only be recorded when a race is truly run. In sprint races the horse must be practically at full stretch throughout: in long-distance races there must be no hanging about. This prerequisite of a really strong pace throughout does not obtain in more than a fair proportion of races. Consequently it is not to be expected that a horse will record the best timefigure it is capable of more than a few times in the course of its career. So although one fast timefigure is sufficient to mark a horse as a good one, it is only after a horse has run a considerable number of times without recording a fast timefigure that we are justified in concluding that we have its measure. So a timefigure doesn’t necessarily tell you how good a horse is: what it actually tells you is how bad it isn’t. There are some essential differences between form evidence and time evidence. 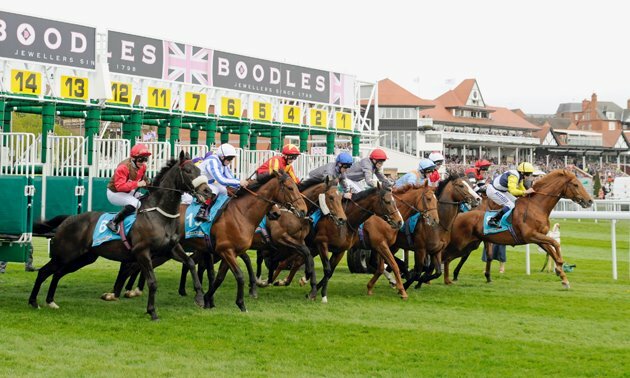 Form evidence accumulates gradually over the course of many races, with early assessments bound to be tentative to a degree and more than usually subject to revision (for a fuller explanation of handicapping procedures, readers are directed to 'How Timeform handicaps horses'). With ‘time’ the matter is different. Here you are not assessing one horse in terms of others, but on its performances in terms of time. Of course, as has been mentioned, a time performance is frequently unrepresentative of a horse’s full merit, but sometimes it is highly significant. One single very fast timefigure is immediate and convincing evidence of an exceptional horse: fast timefigures often disclose good or outstanding horses long before they can be recognised as such on form evidence. This is particularly valuable where two-year-olds and lightly-raced horses above that age are concerned, since time evidence frequently enables one to identify the really good individuals before conventional handicapping techniques do. For example, if a two-year-old wins a race and records a timefigure of, say, 0.20 fast (timerating 105), it is established immediately as worth a rating of 105 on the Timeform scale, even though it and the horses it beat may all be newcomers of whom relatively little otherwise can be inferred. One further point should be understood. The fact that timefigures are calculated at weight-for-age has important consequences. Performances of equal merit are represented by the same timefigures, irrespective of the ages of the horse or the dates when the performances were recorded. A timerating of 120 by a four-year-old and one of 120 by a three-year-old represent performances of equal merit, though a four-year-old would, of course, be capable of conceding weight to the younger horse if they met. Similarly, a timerating of 100 by a two-year-old in April and 100 by a two-year-old in October again represent performances of equal merit. But it should be appreciated that a two-year-old which recorded 100 in April will only be capable of reproducing the same figure in October if it has made normal improvement in the interim. To assess a horse’s present merit on the basis of a timefigure recorded several months ago involves the assumption that the horse has developed normally. This is not always the case. Sharp, early-maturing youngters, seriously trained and fit in the early weeks of the season, sometimes do not make regulation progress afterwards. When examining the timefigures published in Timeform Perspective, the fully comprehensive Timeform form book, it is worth bearing in mind that the more recent the timefigure the more useful it is; a fast timefigure recorded early in the season, which is significantly higher than the latest Timeform Rating for the horse, should be treated more cautiously as it could be that the horse has, in racing parlance, gone backwards.